If you have a grumpy, drooling, tooth-cutting baby on your hands then this is the product for you. The new Becalm Baby Teething Mitten is perfect for bubs who love to gnaw on their own hands while teething and they’re a great alternative to all those teething toys that are often dropped or go missing. Imagine having itchy, sore, swollen gums and not being able to do much about it? The new Becalm Baby Teething Mitten (previously Happy Hand) allows babies with sore gums to self-soothe as they need to. Simply slip on the mitten and they can gum away at it as needed. A convenient velcro strap keeps the mitten fastened to your bub’s hand so it doesn’t slip off and is always on hand to relieve their sore gums. The fact that it also looks cute is an added bonus. Get your mitts on it! 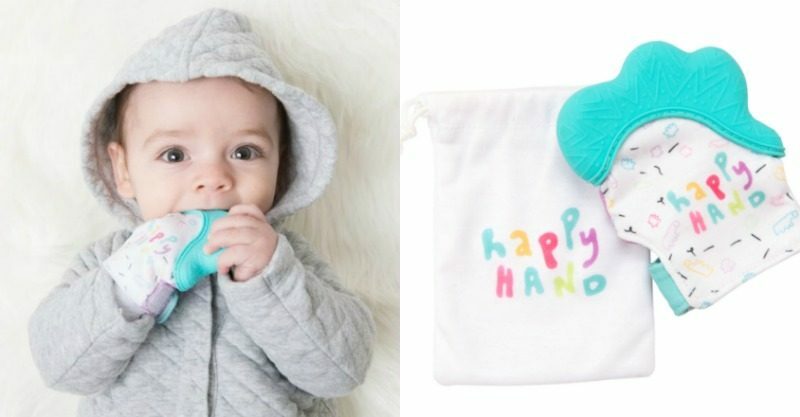 If you’re chomping at the bit to get one of these for your baby then rest easy, the Becalm Baby Teething Mitten (Happy Hand) is $24.95 and can be bought online at www.becalmbaby.com.au or via a range of baby retail stockists. Now that’s handy!